Attending a show is a fun game for some folks. 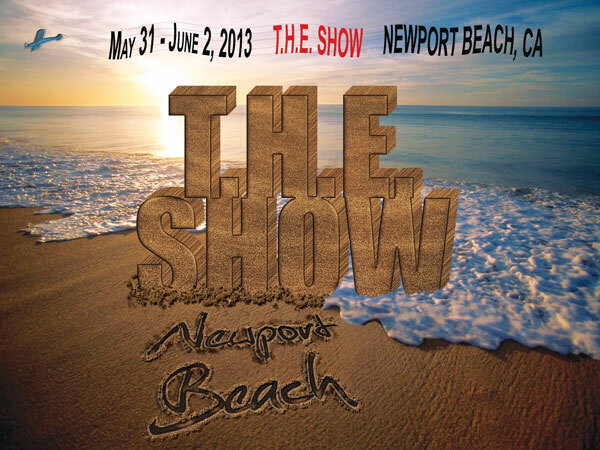 The 2013 edition of THE Show in Newport Beach (or Irvine if you have to be pedantic) was my third show in the last year. My wife and I actually attend these things together as a type of vacation. And why not? We live on the Oregon Coast. Sure, it's gorgeous, but it also rains constantly. Southern California's weather starts to sound tempting after a winter of gloom. This is a chance to leave Sweater Weather for a weekend of hanging out in the golden sun. Anyway, that's the proposition that brought us to Newport the first time. That is, at least, how we justified it to people who aren't *audiophiles*. The truth is that T.H.E. Show at Newport Beach is one of the few chances for someone who lives in the sticks to get out and spend a weekend listening to cool gear, learning about fun music, and talking to folks who are just as obsessed with that stuff as you are. California sun may be lovely, but it's definitely not the draw. I’ll start handing the content off to Scot today to do with as he will. There should be the traditional “Picture in a Room” with a blurb for most of the stuff and a couple of “What I Learned on my Summer Vacation” reports. PS: Your glasses are fine. The photos really are that bad. Yes, Scot is spectacular with his show coverage. The big magazines usually have 3-6 folks moving around the show, yet Scot’s coverage is always far more thorough and quite a bit deeper. When I see him hauling all his stuff down the hallways in Las Vegas, or Denver, or Newport, I am just amazed at his perserverance and efficiency (not to mention his way of listening…). Hope to see you next year in Newport, Scot! In the meantime, thanks to Mal and Kirsten.